Where's the best place to put a heater to warm up your house? Well, it depends what you actually want to do, because it's not just as simple as saying, "Well, we just want to heat the house." Heat rises by convection, and convection currents will carry warm air upstairs in your house. But if you want to warm just the upstairs, it's actually better to take the fire upstairs and warm only your bedroom, if you're going in there. And if you want to be downstairs and have the downstairs part of the house warm, put the fire downstairs but close the doors off so that you're just heating the room that you're in. That's probably the most effective way to do it. On the other hand, if you do want to heat the whole house, open the interior doors and put the fire downstairs. What will happen is that the warm air will flow through the corridors and rise to the upstairs, displacing down the cold air that's up there. This colder air will fall downstairs, because it's more dense than the rising warmer air. 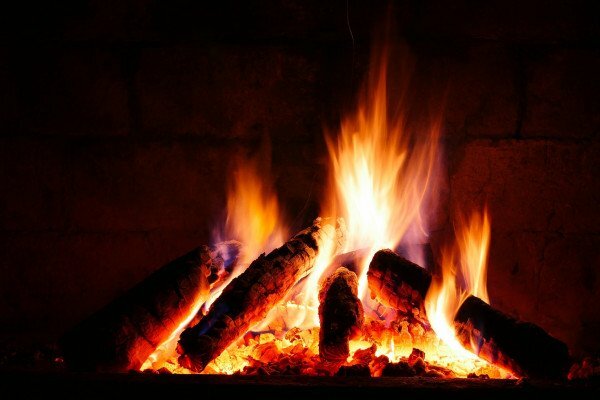 When it reaches the ground, the cold air will get heated by the fire or stove up and then circulate upwards around the house. Previous Are humans the only animal to drink milk from other species? Next Can we extract energy from the Cold? How do Rovers Cope with Low Temperatures? If human body temperature is 37 degrees why do we feel hot when it’s 37 degrees outside?